The Garden City Terminal is a secure, dedicated container Port. It is owned and operated by Georgia Port’s Authority. It is the largest single-terminal operation in North America. Two major railroads (CSX and Norfolk Southern) service the terminal, as well as over 100 trucking companies. 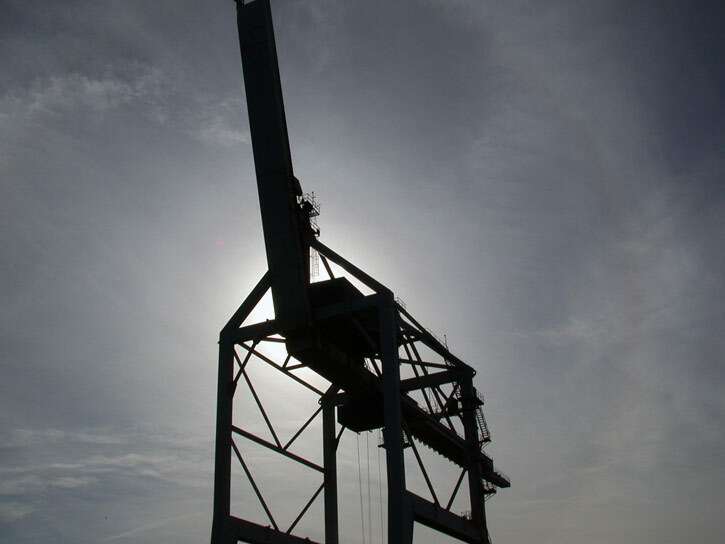 The terminal is located 26 miles from the Sea Buoy, sits on 1208 acres, has an access depth of 42 feet, and a total berthing area of approximately 10,000 feet. There are over 400 acres for container storage and 1.42 million sq. feet of warehouses. 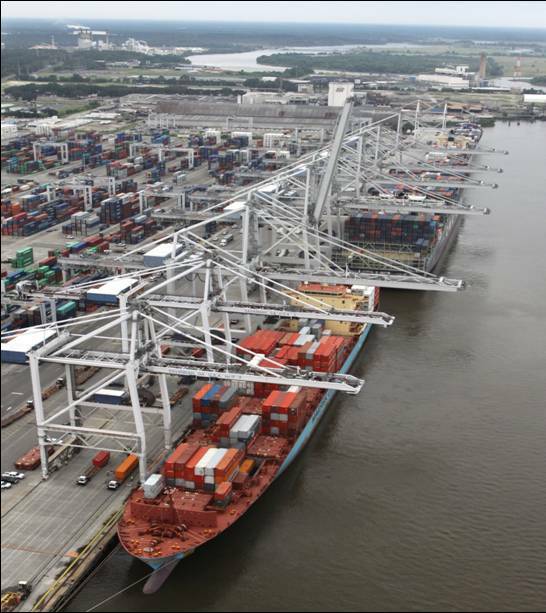 The economic impact of the terminal is huge for Savannah and Georgia. Numerous distribution centers are located in or the Savannah, due to the presence of the port in general and the Garden City terminal in particular. These include: Target, Wal-Mart (Savannah and Statesboro), IKEA, Home Depot, Pier I Imports, Dollar Tree, Lowes, Best Buy, Bass Pro Shops, Fred’s and several others.